Special Olympics MA is on their Game! Special Olympics Massachusetts created an inspiring PSA called “Let me win”. They used portraits of their athletes taken by Len Rubenstein in 2012 and Eunice Kennedy Shriver’s 1968 opening ceremony speech to generate this striking video about Special Olympics. Watch it Now! Loretta Claiborne has run 26 marathons. She is the 1996 recipient of ESPN’s Arthur Ashe award for courage. She is a Special Olympics Athlete! Loretta Claiborne’s story, though at times rocky, is a great one. Frank Bodani of the Daily Record, does a wonderful job telling Ms. Claiborne’s story. Click here to read the full article. MLS Partners with Special Olympics! Major League Soccer has announced their support and partnership with Special Olympics! This partnership will leverage the strength of Major League Soccer to promote awareness, respect, inclusion and acceptance of Special Olympics athletes. In addition to bringing soccer to more athletes with intellectual disabilities, this partnership offers an exchange program for Special Olympics Unified Sports soccer teams. The exchange program provides Special Olympics athletes with top-level training and competitive experiences, and allows MLS fans the opportunity to see the talents and abilities of Special Olympics soccer players. This past weekend was jam packed with fun activities for us! On Friday, athletes from the Baton Rouge area were treated to a LSU volleyball game inside the PMAC. 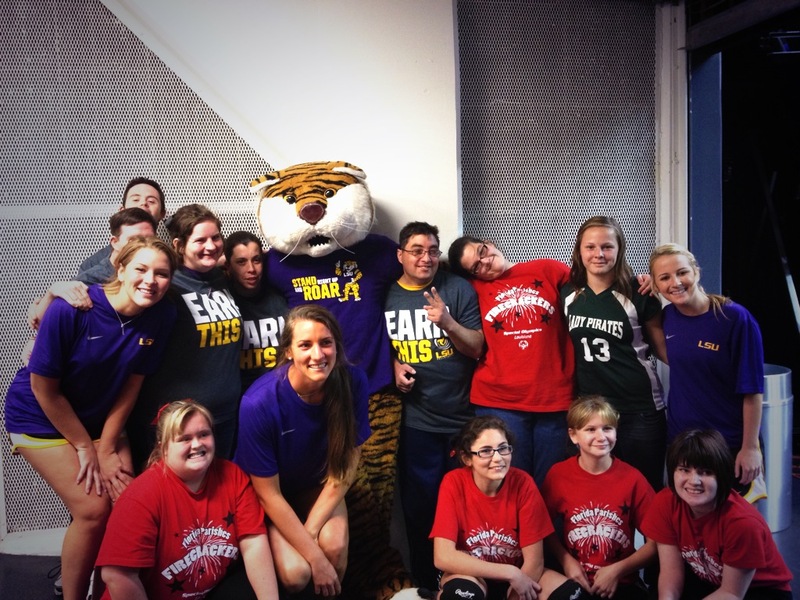 During halftime of the game, our athletes took the court to play a un ified game with the LSU sand volleyball team! 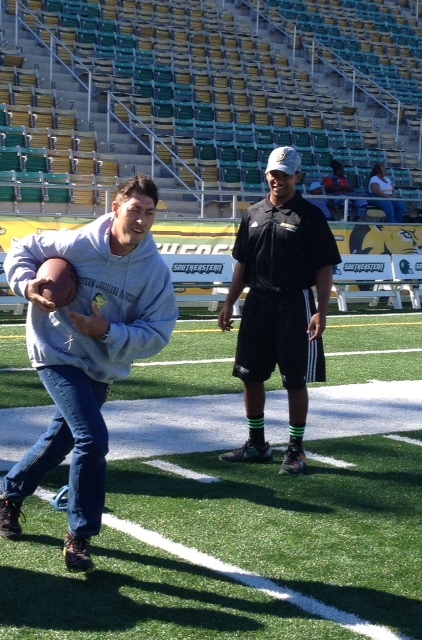 Then, on Saturday, the Southeastern Football team hosted a flag football clinic! Athletes were put through different drills including, passing, agility, running, and kicking drills. After, they were given a facility tour of the football operations building and were shown a hype video in the team film room. To cap off the day, minutes before kickoff, our athletes took the field in Strawberry Stadium to play a unified football game! 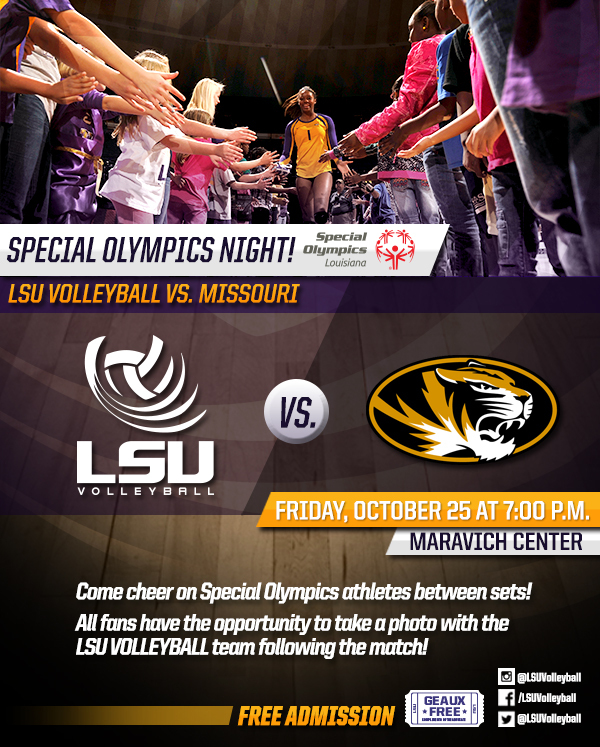 Tonight at the Maravich Center, the Tiger Volleyball team is taking on Missouri! Special Olympics athletes will be there, so come cheer them on between sets! The game starts at 7pm and admission is FREE! Let’s Geaux Tigers! Six Years with Project Unify! Project Unify has now been around for six years with Special Olympics. 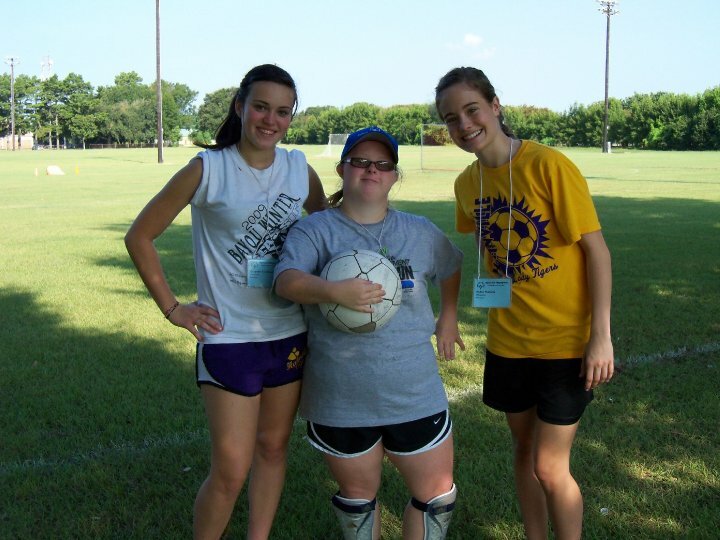 Project Unify is a program based on inclusion in school communities as well as social and sport environments. This year we are trying to commit 120 schools to participate in more inclusive activities such as: more Spread the Word to End the Word Campaigns, finding more Youth Leade rs, and having new Unified Sports. 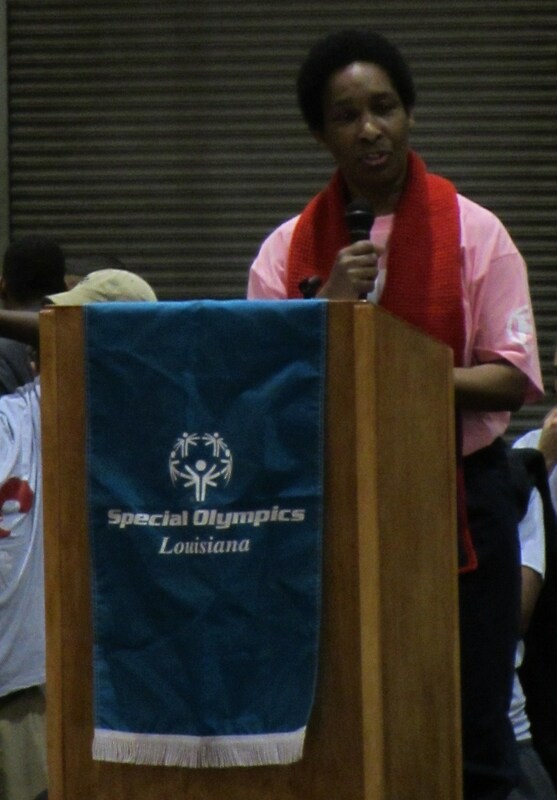 Right now we have five Special Olympics colleges and are trying to connect our community with more colleges across Louisiana. We are excited to see what this year has to offer! 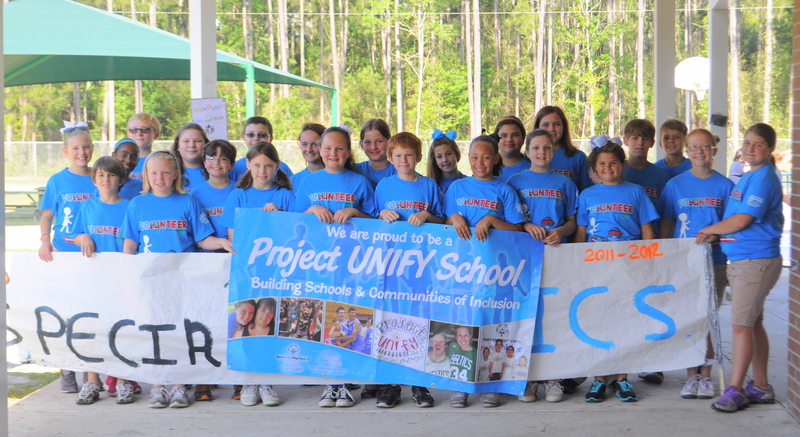 Read more about Project Unify! A little boy named Hernán takes his time getting acquainted with the world’s gentlest dog. Hernán has Down Syndrome and is usually very shy when it comes to physical contact. When he met a dog named Himalaya, he acted no different. He was hesitant to play with her, but Himalaya did not give up. She was very patient, and consistently tried to get Hernán’s attention. After a few minutes, Hernán warmed up and gave her a big hug!